Today, I’m beyond thrilled to be welcoming Sunday Times Best Seller, Heidi Swain to the blog! Not only is Heidi an inspiration of mine, she’s also a lovely person! I hope you’re all as excited as me to read her answers! My name is Heidi Swain and I write commercial fiction for Simon and Schuster. I have written 8 books in the last 4 years, the 7th being my current release, Snowflakes and Cinnamon Swirls at The Winter Wonderland. This festive title is the second set at Wynthorpe Hall on the outskirts of Wynbridge. It follows what happens to Hayley, the hall housekeeper and a new arrival Gabe, as they come to terms with their pasts and prepare for Christmas at the hall. Don’t procrastinate – if you wait for what you think will be the right time to write you’ll never do it. Find out how other authors plot, plan and edit by all means, but have confidence in your own methods and routines. There is no right or wrong way only your own way. I’m nearer the plotter end of the scale. I always have a synopsis to work from. I know my beginning, middle and end, but should the characters decide they have other ideas then I’m (mostly) happy to go along with them. A story only comes to life when you begin to tell it and I’m happy to accommodate that life force as I up the word count. When I was first published, I would have said seeing my titles on bookshelves and more recently I would have put discovering I had become a Sunday Times Bestseller right up there and I still do, but success has become more personal for me now. Every week I receive messages and mails from wonderful readers telling me how reading my books has inspired them to do something new or how a particular storyline has influenced a choice or helped them come to terms with a difficult time in their lives. It’s an honour and a privilege to be a part of my readers lives and knowing that my words have had an impact on them feels like success to me. Sometimes a character will rock up with their name already decided but sometimes I have to match one from my long and varied list. Baby name websites are great if I’m stuck and if I’ve had a job deciding on a name then I’ll let the character wear it for a while so we can decide if it’s the right fit together. I know that sounds a bit bonkers but that’s how it works. No, but I’m tempted to now! I haven’t got time to get stuck so I just don’t allow that to happen – or I haven’t so far! Being on such a tight schedule means I have to power through. I never end a writing session without knowing what I’ll be writing the next day – quite often I’ll type the first line or two – and I spend the rest of the day mulling over what happens next. I often describe is as a film playing out in my head which I then sit and write. I currently publish two books a year but writing a book takes longer than six months. Sometimes I might live with an idea for a year or more before deciding if it really could be something. The physical act of writing a first draft in 10 or 12 weeks might sound straightforward but the plot will have been brewing for far longer. Once that raw draft is captured it is then sculpted into the story I actually want to tell through the magic of editing. Conception to completion is a moveable feast if you take into account the months of ‘thinking time’ but that aside I would say around the 9 month mark once the words are pouring. Quite a fitting time span for the birth of a book! I really struggle with titles. I’m very strict about making sure that what’s on the cover of my books matches the content – words and images – and that has meant for some extremely lengthy conversations with my agent and publisher! Fortunately, we’re a great team and we always get there in the end. Once I’ve lived with a synopsis for a while and I’ve got everything straight in my head I can write a first draft fairly comfortably. I wouldn’t go as far as to say it’s easy but it’s easier than some other parts of the process! When I was working as a teaching assistant and writing a first draft, I would write longhand for an hour before work, then sit in my car at lunchtime for another forty minutes or so before typing everything up in the evening. Now I’m writing fulltime I tend to go straight to the keyboard. That said, I’m happy to write either way and often find that longhand requires less editing. The act of writing on paper gives my brain time to process whereas typing is speedier but less refined. An impossible question to answer, but I do have a great fondness for Dame (as I call her) Milly Johnson and not only because of her witty and relatable books. Milly is such a wonderful people person. She’s incredibly generous with her time, committed to so many great causes and always on hand with words of wisdom. I’m lucky enough to share the same publisher and call her my friend. Everyone needs a little* Milly in their lives. *no pun intended – I’m as short as she is! Another tricky question. I have plenty of favourite books (plural), but picking one… I guess the fairest thing to do would be to select the one I read every single year and, although it’s a short one, its still a firm favourite – A Christmas Carol by Charles Dickens. I have a few copies of this and I love them all. I always begin reading the tale December 1st and depending on what else is in the #tbr if I can, I’ll read it again closer to the big day. I daresay this will come as absolutely no surprise but reading is my greatest source of relaxation. I also attend a Pilates class once a week and that’s great for clearing my head as well as sorting out my alignment. 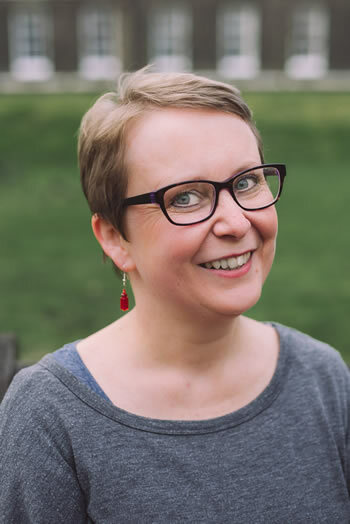 Her debut novel, The Chery Tree Café was published in July 2015 and since then she has had a further six books published, becoming a Sunday Times Bestseller in 2017. 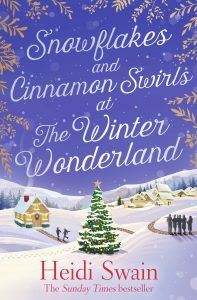 She is currently celebrating the release of her 2018 Winter book, Snowflakes and Cinnamon Swirls at the Winter Wonderland while working on her Summer 2019 title. If you haven’t read Snowflakes and Cinnamon Swirls yet, then you definitely should! I visited many sites except the audio quality for audio songs present at this web page is really wonderful.